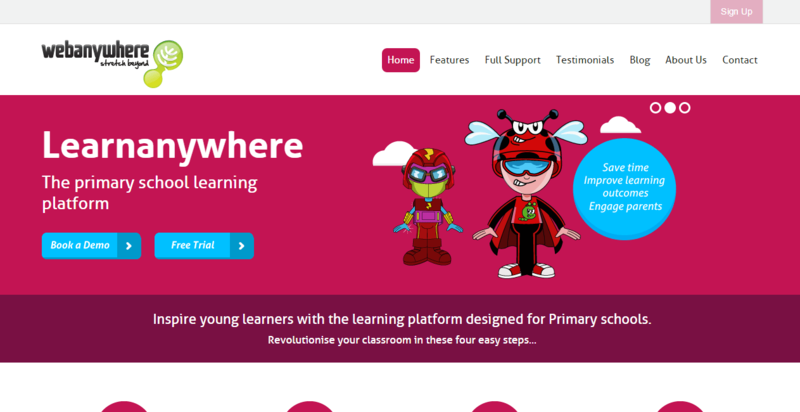 Learnanywhere is a learning management system (LMS) (also called VLE) specifically designed for primary schools. It is intuitive and easy to use for teachers, pupils and parents alike. Using Learnanywhere, schools are able increase and facilitate collaborative learning. Pupils are able to communicate, record their learning successes and share their work. Teachers can create and assess pupils’ work online and can make learning resources of any form (text, audio, video, etc.) available. Parents become more engaged in their children’s school life by being able to see upcoming school events, homework and exams. Everybody (staff, pupils and parents) is able to access Learnanywhere from anywhere at anytime, taking learning beyond the classroom. Visit their website to find out more about Learnanywhere.